The Renaissance City of Providence needs a renaissance in the way it handles its waste. 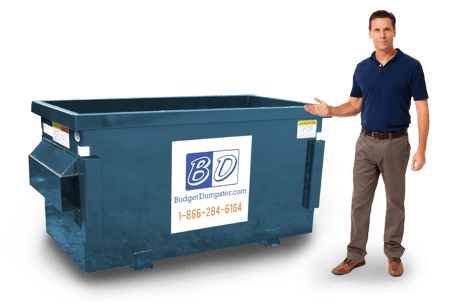 Fortunately, Budget Dumpster is here to kick start that renaissance with its low-cost commercial dumpster rentals. We can equip your business with the right dumpster for your waste stream, and we'll do it for less than the competition. But it's not just our prices that are a renaissance in waste removal; our customer service is somewhat of a revelation as well. We work closely with our customers to ensure that they get the right service for their business, whether it's a small convenience store or a sprawling company campus. All you have to is give us a call and we'll get you set up with the right bin in no time. Not only do we work closely with our customers to ensure their dumpsters are cleared out on time, we work diligently behind the scenes to ensure that the cost of emptying their dumpster stays low. We see it as our responsibility to our customers to ensure our prices don't go up, no matter what changes may take place in the industry. It's just one of many ways we work to help out the businesses that use our services. Where Does the Trash in My Dumpster Go? After our driver collects your dumpster from your property, it is taken to either a landfill or to a transfer station. When it is taken to a landfill, the dumpster is weighed and recorded and then dumped. Modern landfills tend to get major backlash from the community but they are actually very efficient. Many landfills are working to create energy from their trash. We recommend that no one throws hazardous or flammable materials into our dumpsters because these items pose a threat to our environment, when they are dumped into landfills. When the trash from your dumpster is taken a transfer station, the waste materials are separated and sent to their proper resting place. Items are sorted by recyclables and non-recyclables. Non-recyclables are sent to a nearby landfill and recyclable items are sent to nearby recycling plants to be granted a second life. Budget Dumpster encourages all of our customers to recycle as much as possible. We are committed to leaving the planet better than we found it and recycling is one small step towards that goal. How Do I Set Up My Order? 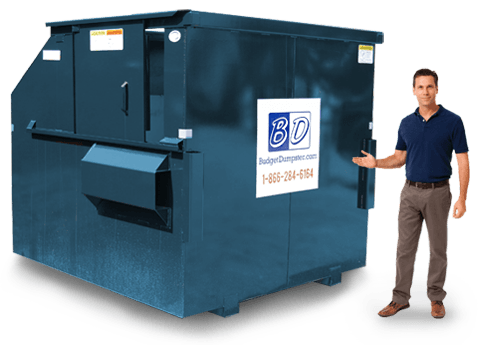 Ordering your commercial dumpster from Budget Dumpster is super simple and easy. All you have to do to order your dumpster is give us a call. 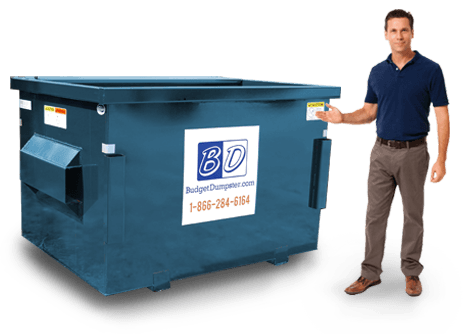 Our customer support specialists will guide through the entire process and explain everything that goes into having a dumpster on your property. Feel free to call us with any questions you may have regarding waste removal service. In one short phone call, we can set-up your order and have your dumpster on schedule for delivery. 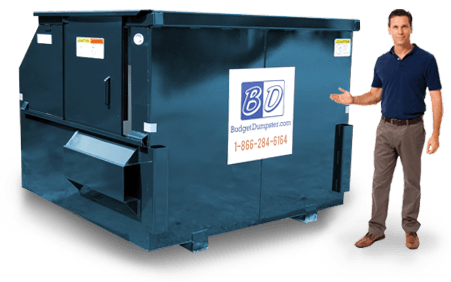 For more information regarding commercial dumpsters in Providence, contact Budget Dumpster today!